Two years ago today, I lost my best friend Kai. 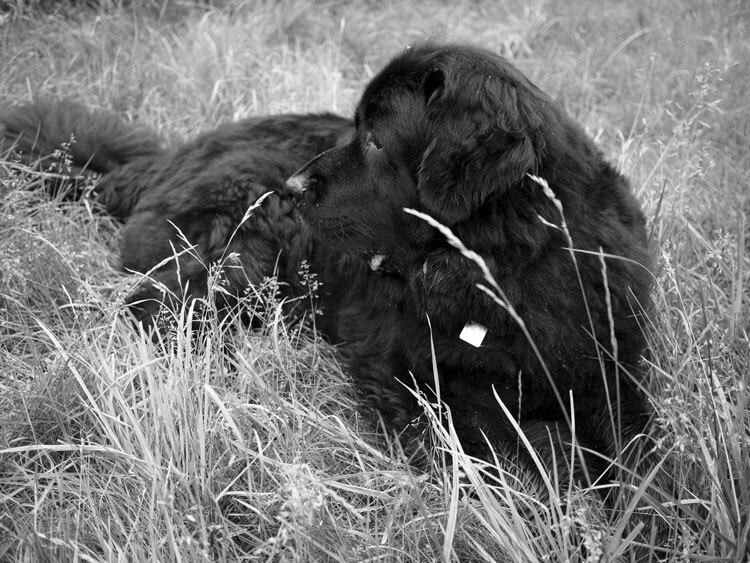 He was a beautiful Newfoundland dog, whose life ended at the age of seven to osteosarcoma—bone cancer. My wife Naomi and I rescued Kai when he was three. Newfoundlands are known to be gentle giants, and Kai was no exception. To see a 150lb dog hide behind your legs in hopes of protection from having a shower from his mistress wielding a garden hose was priceless. But Kai was my dog. It is odd the bond you can have with an animal. Naomi noticed the pride he would show in public when I walked him. When I was working, he would lay down at my feet or put his head in my lap. He would also join me on the couch when I was taking a nap—not an easy thing to do when the couch was just big enough for me, never mind the huge Newfoundland trying to climb over my body. We were inseparable for the four years he was with me.